Hello Everybody, Halloween is creeping up on us and fall is officially here. At this time, I am very proud to announce that I am officially done with scrapping my summer pictures YES!! It is about time to start using fall colors and inspirations. When I think about fall, I thought about Joy, family and food. Cracklin' Rose paperline and sentiments are perfect to capture just that. 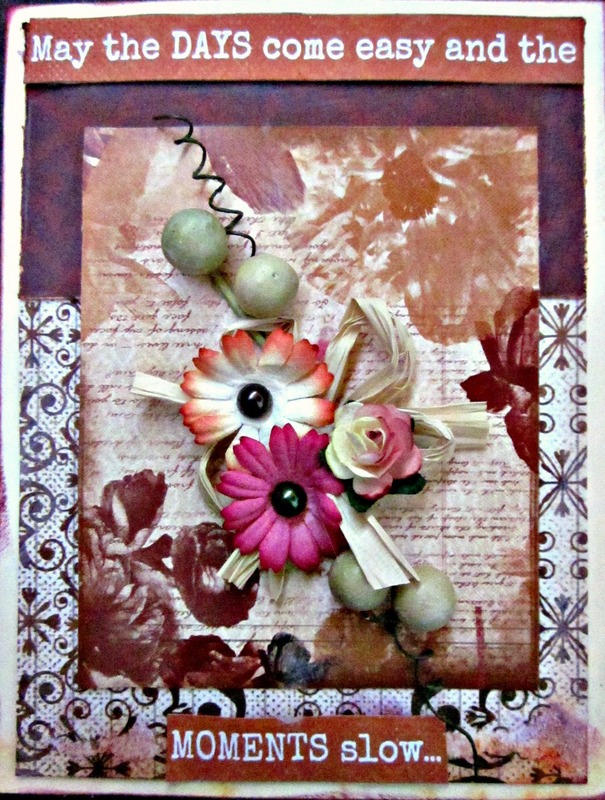 Here is a card that I have created using beautiful sentiment strips and layers from Crackling Rose. Hope you enjoy the card as much as I enjoy creating it.